Here’s another project from the dining room feature wall. 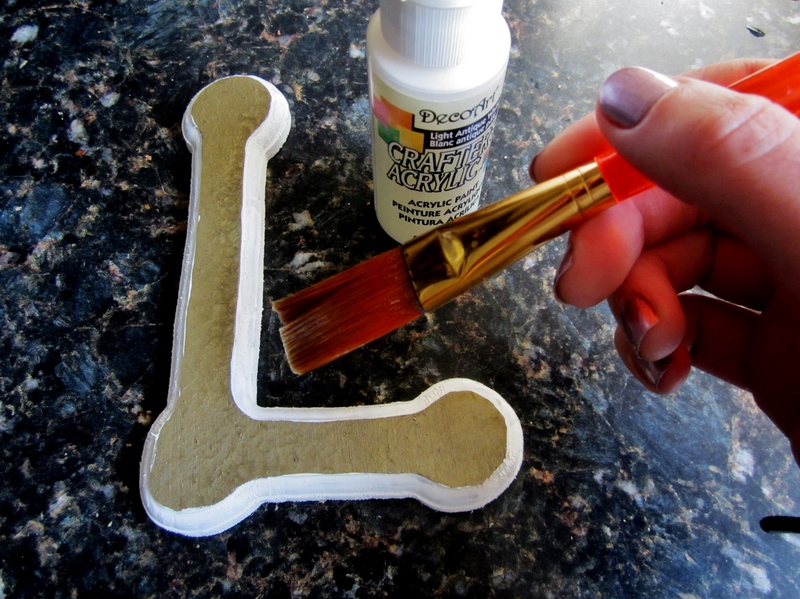 I started with plain wooden letters that I got for a buck a piece from the dollar store. I already had the paint on hand which made this a very budget-friendly project! I sprayed them using a gold spray paint. Because I was doing so inside and wanted to limit the mess, I sprayed them in a box. I then painted the edges in white. 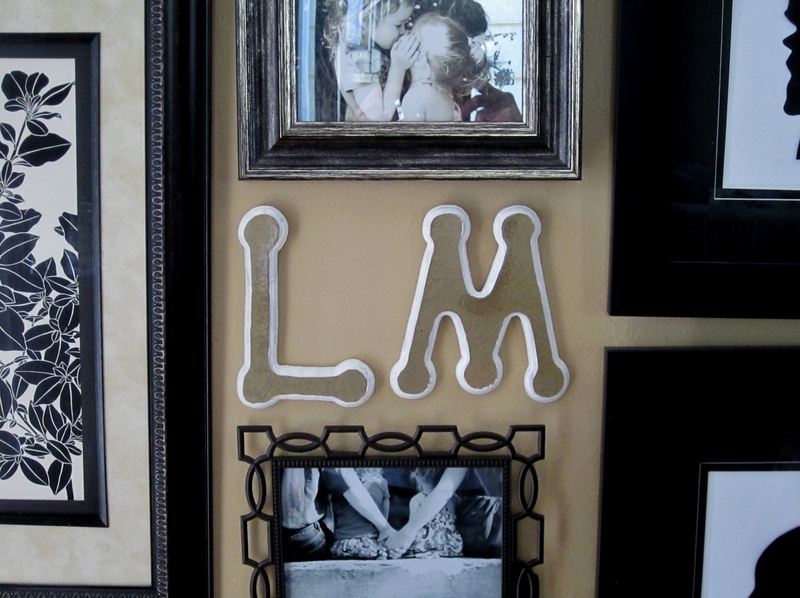 The letters now hang on our gallery wall, sandwiched between some family pictures.